Six strong contenders have been shortlisted for the prestigious 2013 Theakstons Old Peculier Crime Novel of the Year Award. Denise Mina is set to defend her 2012 title as winner of one of the most prestigious crime writing prizes in the country. Mina’s Gods and Beasts, is pitted against fellow winner, Mark Billingham, who has twice-won the Award, and could make it a hat-trick with his Florida-holiday thriller A Rush of Blood, considered his most ambitious work to date. The two face stiff competition from acclaimed Faber and Faber author Stav Sherez, whose unflinching, intelligent novel, A Dark Redemption, explores the London underworld of illegal immigrants. Stuart Neville joins the contest with his Belfast thriller Stolen Souls. His debut novel, The Twelve, won the Mystery/Thriller category of the Los Angeles Times Book Prize, with Pierce Brosnan attached to the movie adaptation. The intrigues of Island life connect the final two short-listed authors. Chris Ewan’s Safe House is a taught turbo-charged thriller with a Manx backdrop that reveals on an island where everyone knows each other, everyone hides a secret. The Isle of Lewis is the locale for Peter May’s, The Lewis Man – already a multi-award winning trilogy for the Scottish author - with this intricate mystery and evocative portrayal of place. This six-strong shortlist was whittled down from 18 titles. A nationwide promotion of the shortlist will now take place across 80 library services, representing a total of 1645 library branches. WHSmith will deliver a four-week campaign from 4 July to 1 August, featuring the titles in stores. The public vote will also count for 20% of the final decision and will be able to cast their vote online at www.theakstons.co.uk from 4 July – 16 July. 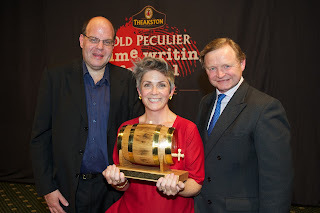 The winner will be announced at the Award ceremony on the Opening Night of the Theakstons Old Peculier Crime Writing Festival, Harrogate on Thursday 18 July at 8pm. joining past winners PD James, Colin Dexter and Reginald Hill. The Labour peer has more than 70 books under her belt, and is widely regarded as an innovator of the genre, both under her own name and as Barbara Vine. 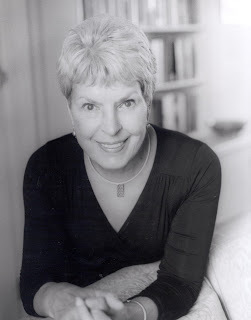 Ruth Rendell said: "It really is an honour to receive this award that's so cherished in the crime writing fraternity. It's a joy to receive recognition for a lifetime's work but don't take that as a final full stop. Writing is essential to my life, I don't know what I'd do if I didn't write." The Theakstons Old Peculier Crime Writing Festival is Europe’s largest event dedicated to the celebration of crime fiction. Taking place annually over four days each July (this year: 18-21 July), the Festival programmes over 80 best-selling UK and international crime authors and over 20 events. It is organised and promoted by the north of England’s leading arts festival organisation, Harrogate International Festivals. Ranked in the top three literary festivals in the UK by The Guardian, it is also featured in the Independent ‘50 Best Festivals’.